Potent, high-concentration proteoglycanos essence. Anti-aging, brightening and firming. Treats wrinkles, dry skin, sagging and other symptoms of skin aging caused by the sun. 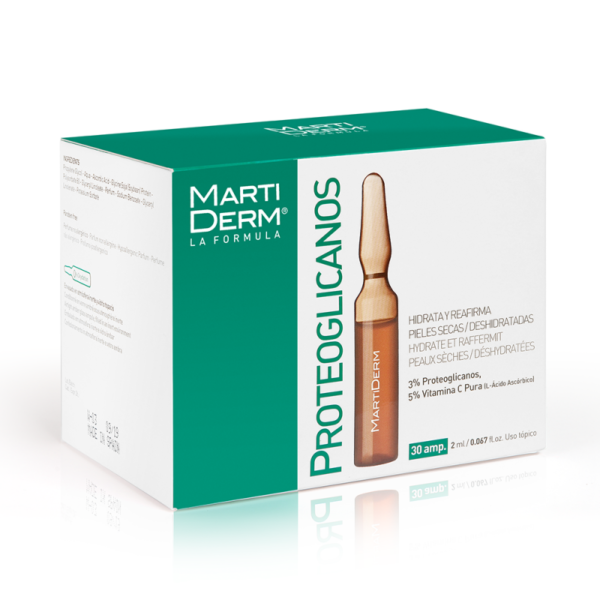 Prevents premature skin aging caused by exposure to the sun and environmental oxidative stress. Proteoglycans repair and restore skin’s youth. Pure Vitamin C pure (5%) has high anti-oxidant properties. BENEFITS: Moisturizing, anti-aging, firming, anti-oxidant and brightening. IMMEDIATE EFFECTS: Visible smoothness and luminosity. 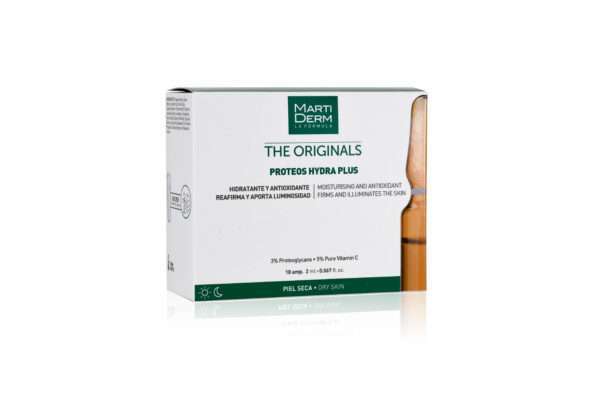 LONG TERM EFFECTS: Elimination of wrinkles, firming, plumping and brightening. Apply half an ampoule directly onto clean face. Gently dab into skin with fingertips until fully absorbed and follow with moisturizer.